The Elkay EWMA7220SACMC Three Station Wash Sink Package includes sensor-operated, non-mixing backsplash-mounted gooseneck faucets with adjustable sensor eyes and a stainless steel perforated strainer grid. 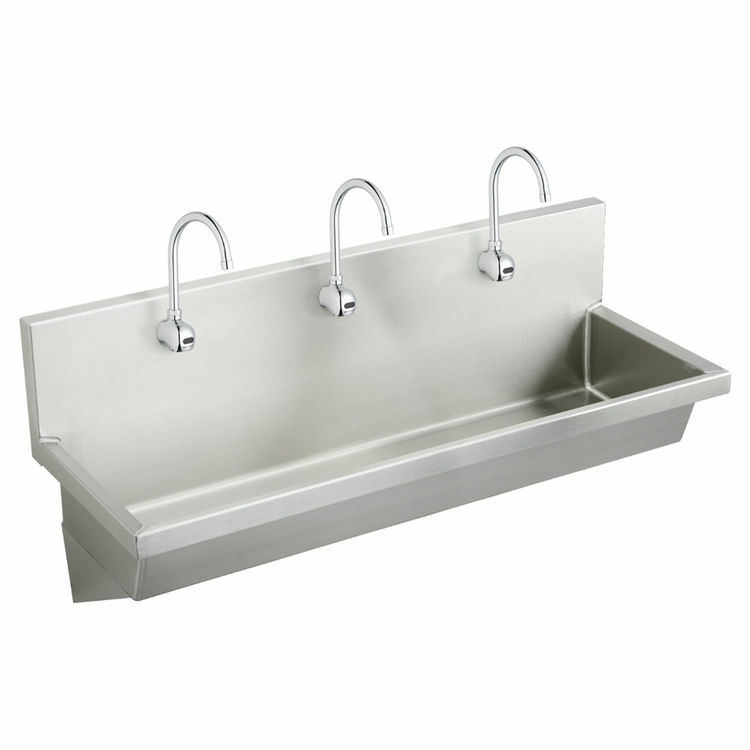 This stainless steel wash sink is rectangular-shaped and is designed for a wall mount installation. This Elkay EWMA7220SACMC sink has 1-1/2" (38mm) wide inward sloping top channel rims, with a 2" (51mm) flat apron and a full-length 10" (254mm) high backsplash. 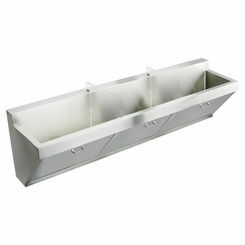 The overall dimensions of the sink are 72" x 20" x 8". The sink is furnished with one faucet hole. It has a 3-1/4" opening for a stainless steel drain fitting and a stainless steel perforated strainer grid (refer to the specification sheet). The sink has a lustrous buffed satin finish. It is constructed of a high-quality #14-gauge type 304 (18-8) stainless steel. 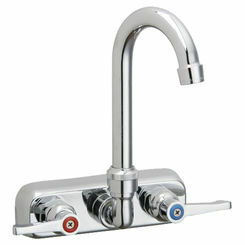 The sink is furnished with wall hangers and stainless steel support brackets. 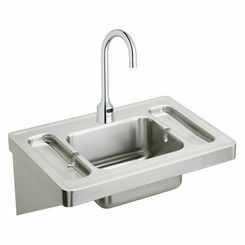 The Elkay EWMA7220SACMC Three Station Wash Sink complies with ASME A112.19.3/CSA B45.4 BUY AMERICAN ACT. It has a limited lifetime warranty from the date of purchase. All Elkay products are made in the USA.